A well presented one bedroom ground floor flat with a superb 48ft West-facing garden which also has a decked area ideal for entertaining. The property maintains a number of period features including a beautiful bay window in the reception room and wooden flooring throughout the living areas. The well proportioned bedroom is at the rear of the property and has a lovely view out to the rear garden. There is the possibility to extend the kitchen which already has space for a table and chairs subject to the necessary consents and add either a second bedroom or larger living space. 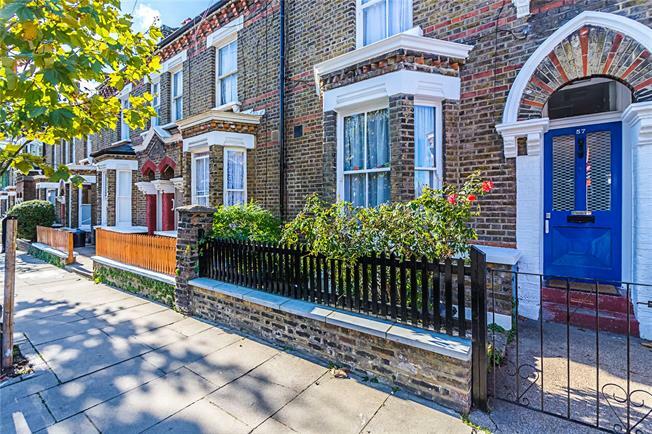 The house is ideally positioned in Zone 2, between Queen’s Park and Kensal Rise; providing convenient access to local amenities such as grocery shops, delicatessens, restaurants, parks & gastro pubs. Portobello market is a short bus ride away. Transport links are catered for by Queen’s Park & Kensal Green Tube stations, providing access to Oxford Circus. East London & the City can be reached from Kensal Rise SilverLink.